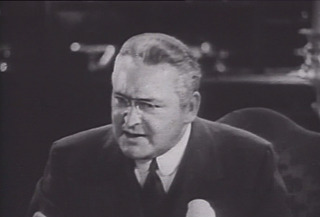 Edward Arnold plays D.B. 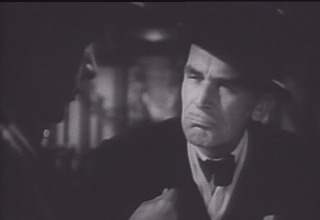 Norton in Meet John Doe, and the great actor calls on all his considerable abilities in bringing this titan of industry to life. Norton is a man of money and power, and all he craves in this world is more money and power. "What the American people need is an iron hand!" The obvious next step for D.B. Norton is political power, and as he heads toward that goal he consolidates a media machine, buying up newspapers and radio stations. His message and his control will be everywhere. When D.B. Norton buys a paper 40 heads are chopped off. One of the discarded reporters plans her own sort of revenge, and it will have an immeasurable impact on all their futures. 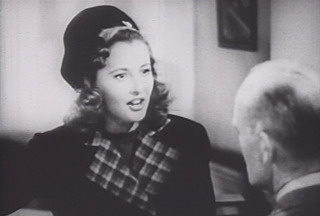 Ann Mitchell is played with her customary strength and relatability by Barbara Stanwyck. Ann is the sole support of her widowed mother and two kid sisters. She needs her job, and she's good at her job. Ann has one more column to submit before leaving the building with her pink slip. It is going to be a doozy. "There's no letter. I made it up. You said you wanted fireworks." Ann indulges in a little harmless fake news. A letter to the editor from a disgusted American citizen who, due to the horrible state of affairs, is going to commit suicide by jumping off the City Hall roof. Suddenly the whole town, the whole state, is in an uproar. John Doe must be found and he must be saved. Ann grabs onto the unexpected life/job saver, pushing for the paper to play up the John Doe angle. It will be great for circulation and isn't that what Norton wants? There is more of what Norton wants in this gag than Ann can imagine at this time. Only now a real John Doe must be found to stand in for Ann's fake one. 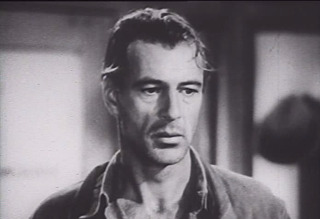 Gary Cooper is perfection in the role of down-on-his-luck ballplayer Long John Willoughby, who still naively dreams of a chance at the big leagues. He appears attractive enough to draw people to his side, and simple enough that the manipulators of publicity can mold him to their liking. "Why can't that spirit, that warm Christmas spirit, last all year long?" Our John Doe isn't a loner as he has a traveling companion in "The Colonel" played by Walter Brennan. The Colonel doesn't hesitate in speaking his mind about newspapers and Norton, and people in general. His opinion is not favourable. Sometimes he comes across as contrary for contrariness' sake, but he is a dose of reality in his friend's world which is quickly becoming Norton's world. Ann's father was a doctor, and a philosopher. He was a man who did good in the world for its own sake. He wrote of his ideals and Ann is using her father as the template for John Doe and all of the things he will say and stand for today. D.B. Norton immediately backs John Doe and the homespun philosophy he will spin for the suckers whom Norton sees as potential voters. He'll ride the John Doe phenomenon into the Governor's mansion, and after that the White House. The seemingly simplest among us are complicated, and the complication here is that John begins to believe the things he has been saying, and he begins to fall in love with the woman who gave him the words. This Frank Capra and Robert Riskin (It Happened One Night) collaboration was their first and only production independent of studio backing, with a distribution deal through Warner Brothers. 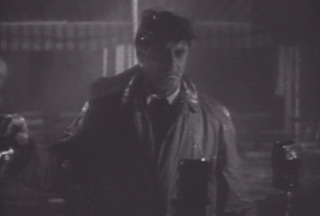 Riskin's screenplay is based on an Oscar-winning story idea by Richard Connell (The Most Dangerous Game) and Robert Presnell Sr. (Employees' Entrance). Meet John Doe tackles the forces of greed and the frightening potential for fascism in America. It also looks at the value and impact of ordinary lives and heartfelt values. The essence of the individual must come across as paramount in the telling of Meet John Doe. These are difficult concepts to include in a story that will engage an audience. 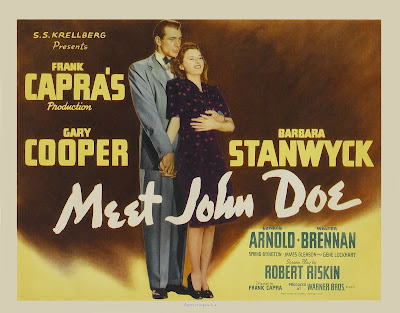 Meet John Doe is, for me, one of Capra and Riskin's most fascinating films. 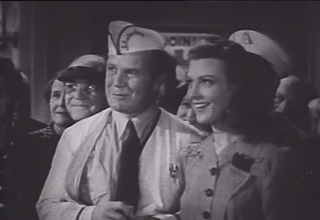 The scene of Norton's thugs routing a much-ballyhooed John Doe rally when the threads of his plan start to unravel is not only one of the director's finest, but one of the finest scenes in 1940s cinema. Note the cinematography by legendary George Barnes, multiple Oscar nominee and winner for Rebecca; also a mentor to Gregg Toland. The rally scene is heartbreaking and chilling for the viewer, and must have been a point of pride for its creators. "I should be drinking milk, you know. This stuff is poison." 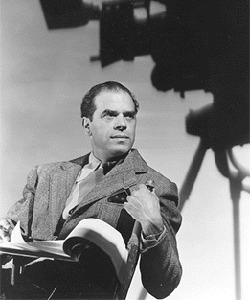 Frank Capra also had a way with his casting and use of the best of film's character actors. Always reliable James Gleason had quite a year that included his Oscar-nominated performance of Max Corkle in Here Comes Mr. Jordan, as well as his Oscar-worthy performance of editor Henry Connell in Meet John Doe. His drunken, yet clear-headed rant to John is a performance for the ages. Spring Byington, Gene Lockhart, Irving Bacon, Ann Doran, Regis Toomey, J. Farrell MacDonald and Warren Hymer are only some of the familiar faces whose presence and talent enhance the characters and story we are drawn into by master cinematic storytellers. Meet John Doe was a difficult story to film and several endings were made. Even the one eventually used was not entirely satisfactory to Frank Capra, or often to critics and audiences. Some object to the religious metaphor in the screenplay. Personally, I find the connection an apt one because it is at the Christmas season that we reflect on our place and duty in the universe. For thousands of years many return to that familiar story of love and redemption through a great sacrifice. Meet John Doe is flawed because it doesn't have all the answers, but it is perfect because it asks the questions. TCM is screening Meet John Doe on Saturday, December 16th at 1:45 PM as part of their Christmas film line-up giving this darkly optimistic film a proper place in the seasonal offerings. I love that Capra Rule: The cardinal sin is dullness. We started watching a recent film the other night and it was beyond dull – I couldn't see a point. I wondered, out loud, "Have these people ever seen a movie before?" Frank Capra wouldn't have rubber-stamped that project! I'm glad you wrote about this film, because it is thought-provoking and ought to be more well-known than it is nowadays. Also, this sentence was timely: "When D.B. Norton buys a paper 40 heads are chopped off." Wasn't there a newspaper deal in Ontario this past week where several small-town newspapers were shut down? Thanks for reading. It is a film that confounds and intrigues me with its ability to make me feel. When I come across one of those dull films I remind myself that just because someone made the movie doesn't oblige me to watch the whole thing. Click. Yeah. Some sort of Post Media and TorStar merger or something and just like that small town papers with actual reporters doing actual ground work gathering facts are out of a job. I hope the government will step in with some plan to at least make these transitions to digital better for the business and the people. Timing is everything! What a clever way to heighten the emotional impact. I believe it truly holds up, and holds a mirror up to the worst and best among us. Great Write Up. I haven't seen the movie in years. Time for a re-watch! I used to get into a December movie schedule habit, but I enjoy and appreciate something more if I let some time pass between viewings.